Luke Reader received a Ph.D. in History from UC Irvine. He is a lecturer in the SAGES program at Case Western Reserve University. He is currently teaching a writing seminar on Brexit, and recently published an article on post-WWI Labour Party internationalism in the International History Review. Brexit is not going well. Six months ago Britain triggered Article 50, beginning the process of withdrawal from the European Union. Since then, the EU has stated that negotiations about about post-Brexit trade cannot begin because insufficient progress has been made on the EU divorce bill, the rights of EU citizens living in Britain, and the status of the UK-Ireland border. Britain’s Conservative government has spent much of its time mired in infighting over the EU. Far from foundering on the rocks, the great British ship of state has not even made it down the dockyard slipway. So why have negotiations gone so badly? For pro-Europeans, the glib answer is that Brexit is a bad idea. Brexiteers blame dastardly Europeans for using EU withdrawal to teach the British a lesson. Both answers are true. Brexit is a bad idea. And why shouldn’t the EU make withdrawal as painful as possible? Historical tensions within the British political system are another problem. These have generated five countervailing pressures that hinder negotiations. The first is immigration. For many Britons, a motivating factor for Brexit was a desire to control Britain’s borders. EU free movement of labor rules were seen as contributing extensively to the net 300,000 immigrants a year entering. Since 2008, voters have had the erroneous impression – stoked by pro-Brexit voices - that migrants were taking jobs and driving down pay. Sovereignty creates a second set of pressures. For many Brexiteers, the 2016 referendum was the culmination of a campaign to reclaim the sovereignty ceded when Britain joined the EEC in 1973. 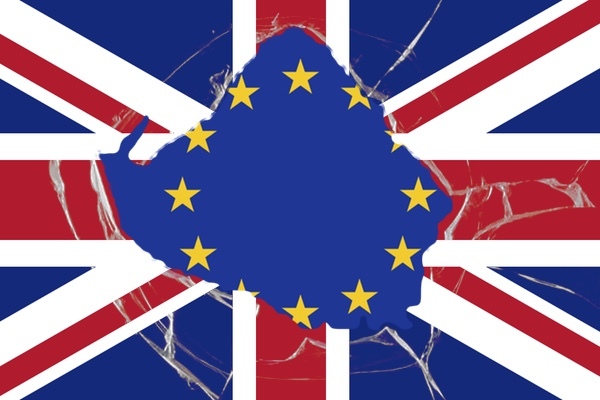 Once Britain leaves the EU on March 29, 2019, it will no longer adhere to EU regulations and European Court of Justice (ECJ) rulings on commerce, free movement of labor, human rights, free-trade and tariffs, social policy and so on. For some this allows Britain to control its borders. For others, it creates an opportunity to unravel red-tape, turning the country into a lightly taxed and regulated equivalent to Hong Kong or Singapore. Many supporters of these two positions are willing to risk a so-called hard-Brexit. This would see Britain leave the European single market and customs union if a suitable settlement cannot be agreed with the EU. But this risks chaos. WTO tariffs would be applied to imports and exports between Britain and the EU and Britain’s powerful financial services industry would be shut out of Europe. Visas might be needed for European travel, while in a worst-case scenario, flights from Britain could not enter the EU. Remainers, as well as some Brexiteers, prefer a so-called soft Brexit. As Ian Dunt shows, this model concedes withdrawal, but argues that Britain should strike an agreement with the EU similar to those made with Canada, Norway, Switzerland, and Turkey. It would maintain access to the single market and customs union, but would also leave Britain subject to EU policy on commerce, free movement of labor, human rights, free-trade and tariffs, social policy and so on. This model offers a continuity that should minimize economic uncertainty. The downside is that the ability of Britain to influence EU policy would vanish. Lexiteers - left-wing supporters of Brexit – claim that the EU and the single market favor capitalist and banking interests. As the journalist Owen Jones argues, the experience of Greece proves this point. Withdrawal creates an opportunity for radical reform. These concerns do not cut neatly along party lines. A parliamentary majority for a soft Brexit exists. The problem is that these votes are scattered across four major parties: Conservatives, Labour, Scottish National Party, and the Liberal Democrats. Partisan loyalties and ideological differences make a grand coalition impossible. Europe is a black hole that ineluctably drags the Conservatives into its maws. Theresa May is the fourth prime minister in a row to be mired in internecine warfare over Europe. Her government lost its majority in the 2017 election. May recently proposed a softer Brexit that would see a transition period of at least two years, during which Britain would remain subject to all EU regulations and rulings. This seemed to calm unrest. But a catastrophic conference speech, and squabbles between potential successors, merely illustrate her slight and unstable premiership. Labour is not much better off. Brexit should be an opportunity. Younger voters flocked to the party in 2017. The 9.6% vote share increase was the largest since 1945. In part, this was a response to Brexit. Despite the anointing of the aptly initialed Jeremy Corbyn in the election aftermath, Labour too is bereft of ideas. An ambitious economic agenda and shout-outs from Stormzy have their appeal, but what about the biggest issue facing Britain? Labour supports a transition period, but shelved debate on Brexit at a recent party gathering. In reality, it is in an awkward position. Corbyn is dubious about Europe. If Brexit leads to economic calamity, it will be impossible to finance proposed reforms. And if Labour pursues a softer Brexit, perhaps conceding on free movement to maintain single market access, it risks alienating working class supporters who voted to leave the EU over immigration. Underlining Brexit is a view of history that perceives of the EU as the latest manifestation of a universalist continental hegemon that England, and later Britain, traditionally opposed. Those on the left reconstitute a British radical tradition that connects with the early Labour movement, the Chartists, the Tolpuddle Martyrs, and the Putney Debates during the English Civil War. This argument presents the EU as but the latest iteration of rapacious landed and capitalist interests. Those on the right offer banal homilies to making Britain great again, placing Brexit in the context of struggles against European powers: the Catholic Church, Spain, France, and Wilhelmine and Nazi Germany. Britain is a part of Europe, not apart from Europe. Bernard Simms suggests that Britain and Europe have been wholly imbricated for a millennium. In order to prevent a hegemon arising in Europe, Britain had to become hegemonic itself. In earlier centuries the path to empire and dominance of global trade ran through Europe. Why should the basis of Britain’s economic, diplomatic, and cultural power today be any different?